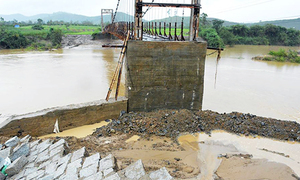 Authorities warned that raging rivers were filling reservoirs to near-capacity in central and southern provinces. 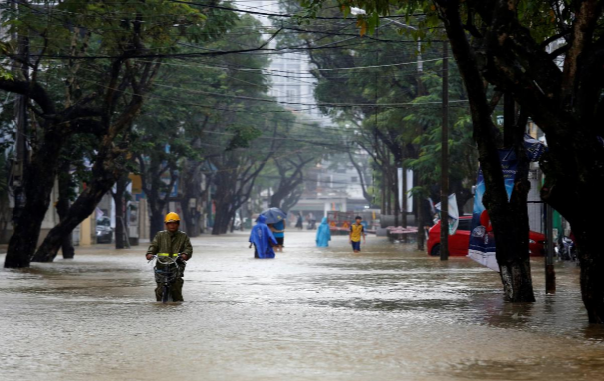 The death toll from typhoon downpours and floods wreaking havoc along Vietnam's south-central coast has risen to 89, authorities said Tuesday, as the country prepares to host a world leaders' summit. Typhoon Damrey struck days before Vietnam is set to host the Asia-Pacific Economic Cooperation (APEC) conference in Da Nang this weekend. It will bring together U.S. President Donald Trump, China's Xi Jinping and Russia's Vladimir Putin, among other leaders. While Da Nang itself was spared the worst damage, muddy floodwaters have submerged the hardest-hit provinces and swamped nearby Hoi An, a UNESCO World Heritage Site that was due to host APEC spouses later this week. More than 100,000 houses nationwide are still under water, according to a Tuesday report from Vietnam's disaster management authority. Since the storm made landfall on Saturday 89 people have perished in floods, landslides and on capsized boats at sea, while 18 others are still missing, the government said. Khanh Hoa Province, home to the popular resort town of Nha Trang, has been the hardest hit with 37 fatalities recorded. The Miss Universe beauty pageant has received an avalanche of online backlash for deciding to proceed with its semifinal in Nha Trang on Saturday while the rest of the beach town was struggling to cope with the aftermath of the storm. 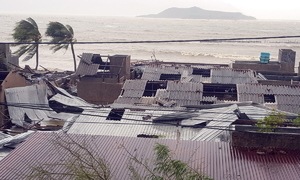 UNICEF said at least four children were among the dead, with two others missing and an estimated one million young people affected by one of the worst storms to hit the area in years. Authorities warned that raging rivers were filling reservoirs to near-capacity in central and southern provinces, with rain still pelting down in some areas. Typhoon Damrey, which made landfall last Saturday, is the latest in a string of major storms to thrash Vietnam's long coastline this year. 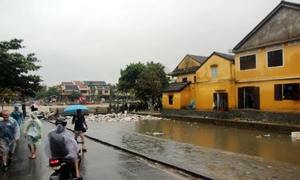 In September Typhoon Doksuri tore through central Vietnam, killing 11 people across several provinces.